All cabins have wifi and come with a 14 foot fishing boat or dock space for your boat. Cabin 1 has two bedrooms; one with a queen bed and one with a full bed, plus a pull-out sleeper couch in the living room. Big picture windows frame an outstanding view of Sand Lake. Completely furnished with a fully stocked kitchen with full sized appliances and a microwave oven. The bathroom has a tub and shower. Cabin 2 has two bedrooms; one with a queen bed and one with a bunk-bed (full on the bottom, single on the top), plus a pull-out sleeper couch in the living room. Big picture windows frame an outstanding view of Sand Lake.Completely furnished with a fully stocked kitchen with full sized appliances and a microwave oven. The bathroom has a tub and shower. 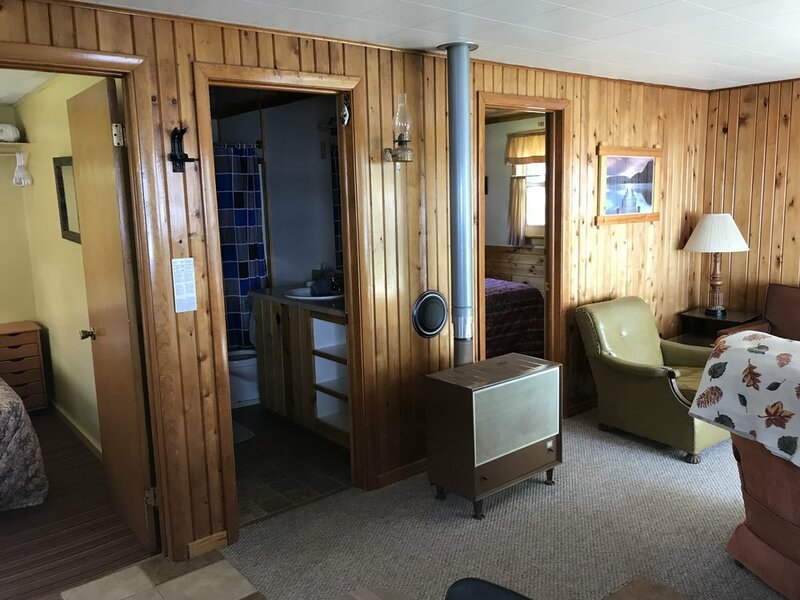 Cabin 3 has two bedrooms; one with a queen bed and one with a full bed, plus a pull-out sleeper couch in the living room. Big picture windows frame an outstanding view of Sand Lake. Completely furnished with a fully stocked kitchen with full sized appliances and a microwave oven. The bathroom has a tub and shower. Cabin 4 is newly remodeled in the living room and now has a bathroom with a tub and tiled shower. It has two bedrooms: one full bed, a set of twin bunk beds, and pull-out sleeper couch in the living room. Fully stocked kitchen includes full-sized appliances. Cabin 5 & 6 are fully furnished cozy lake-side cottages conveniently located close to the dock. 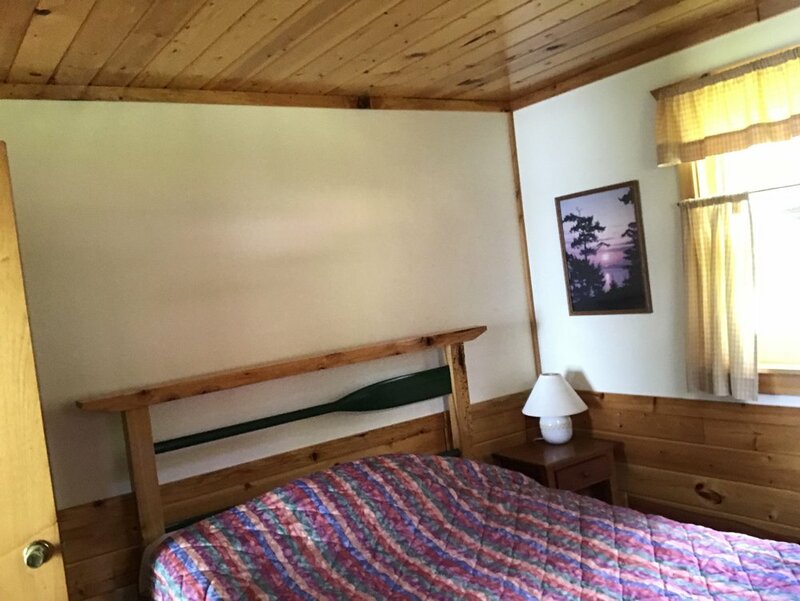 Cabins have two bedrooms, each with a full bed and with living rooms that include a sleeper couch/futon. Bathrooms have tubs with sprayer faucets for relaxing baths.